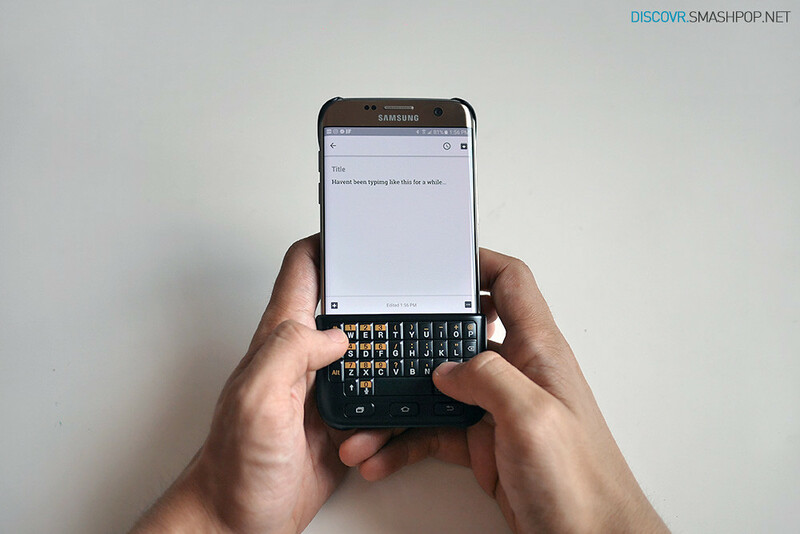 If you have always loved typing on physical keyboard even when you are using your smartphones, in this case the Galaxy S7 Edge, then this official accessory from Samsung might just be what you need. 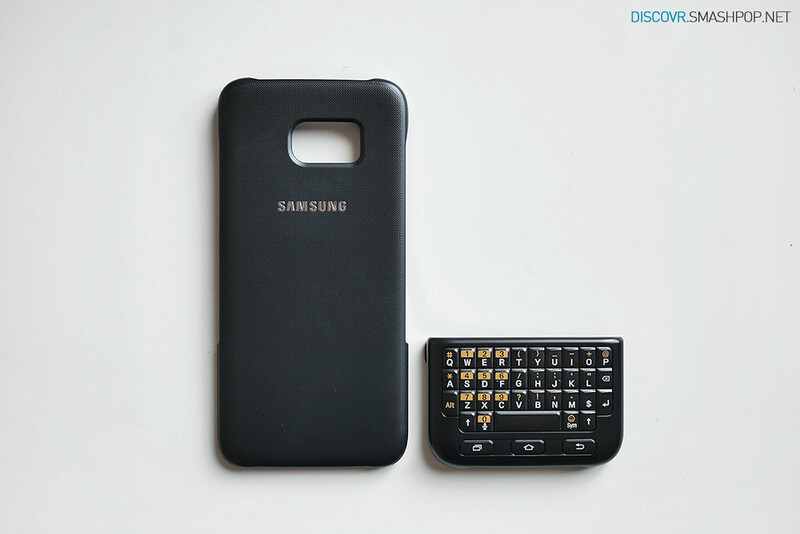 The package comes in 2 pieces, the keyboard and the back casing itself. 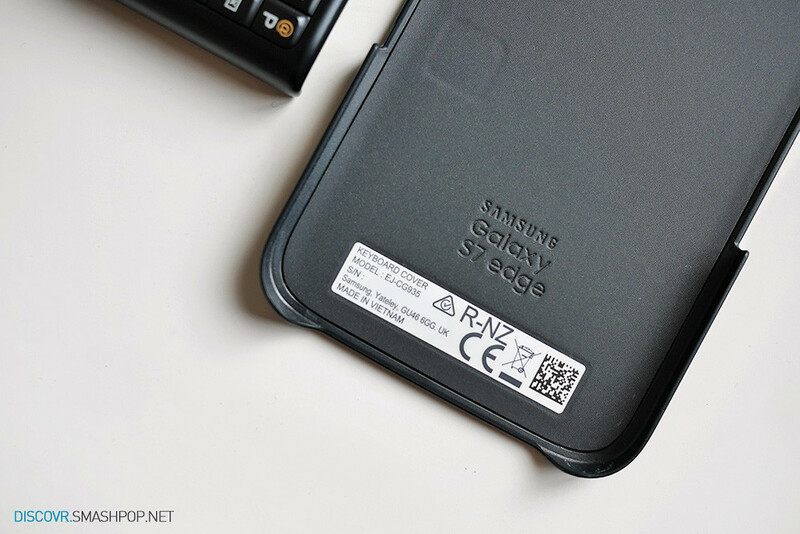 The back case is actually made from soft plastic and is thin and light. I particularly like the texture on the back. It feels a bit like smooth leather which give it a very premium feel. The keyboard works without the need to charge or pairing via bluetooth. 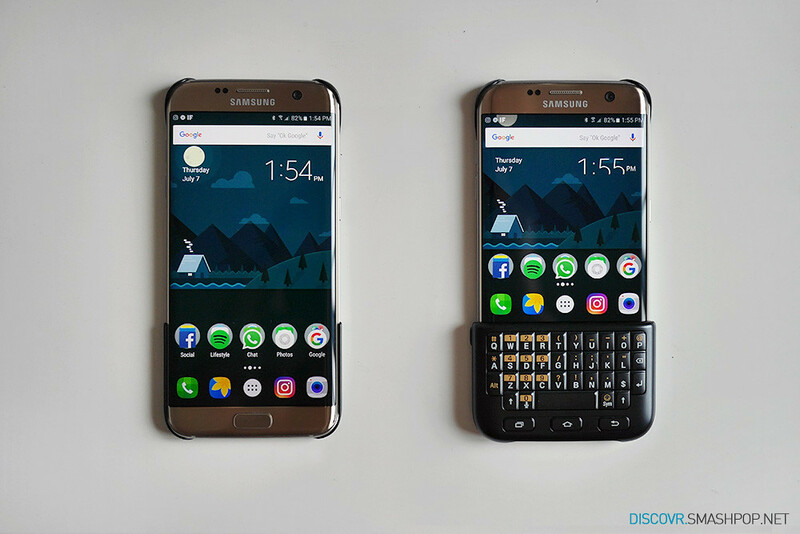 All you need to do is just attach the back case and snap the keyboard onto the front of the S7 Edge. If you are wondering how it works, well it pairs via NFC. The NFC plate is visible in the photo above. When not in need, the keyboard snaps tightly on the back of the case. 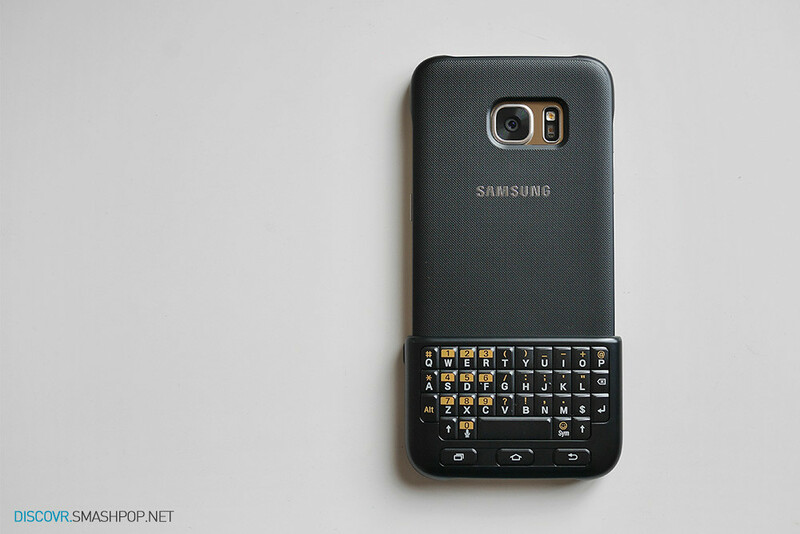 I really like how we can switch the keyboard from the back to the front in an instant. The whole process takes only about 2 seconds and you can start typing instantly. When keyboard is attached, the interface changes, in order to fit everything you have on the screen into the visible area. You can see the before and after difference in the photo above. The keyboard works as expected. 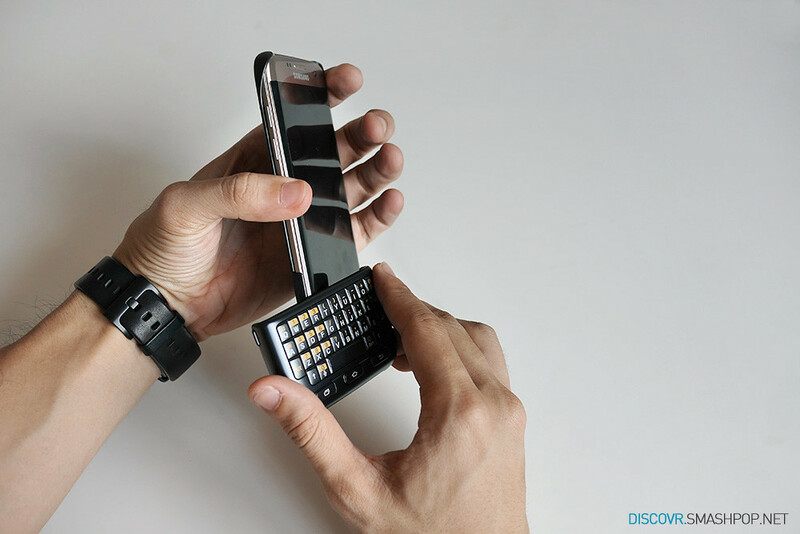 To be honest, this is not an accessory that I would use because I am used to tapping the screen to type. With this accessory on, there is a need to use more energy to press on the keys when typing. After a while, it will be quite tiring. The Keyboard Cover costs around RM250. It is definitely not cheap but if feeling physical keys and tactile feedback is your thing, then this is certainly a good add on to the S7 Edge.